THIS IS a big week for Oldham – and one that I believe will be a significant milestone in our future success. In recent years you’ll have already become aware of several regeneration schemes that we’ve brought forward for Oldham Town Centre. Work is already ongoing to transform the Old Town Hall into an ODEON cinema with restaurants and a high-quality new public space at Parliament Square. Builders are also busy finishing the bespoke FCHO headquarters on Union Street and constructing our new sports centre. Plans for a new Coliseum Theatre and Heritage Centre are entering their crucial second bidding phase and we’ll also be making important decisions soon on the next steps to deliver a hotel and a revitalised QE Hall. But our approach is about so much more than just dealing with individual buildings and problems. We’ve always had a wider vision and I hope that is now becoming clearer after we finally unveiled our plans for Prince’s Gate at Oldham Mumps this week. I’ve been unashamedly calling this masterplan a “gamechanger” and I don’t say that lightly because it really is all about our aspirations for Oldham. For too long we’ve been the only town of our size without a Marks & Spencer (M&S) store and the news that we’re so close to achieving it has been very well received by people across the borough. Prince’s Gate is a significant scheme for Oldham Mumps. This is a part of town that we know has stalled in recent years but now has a unique chance to capitalise on our long-awaited Metrolink connection. 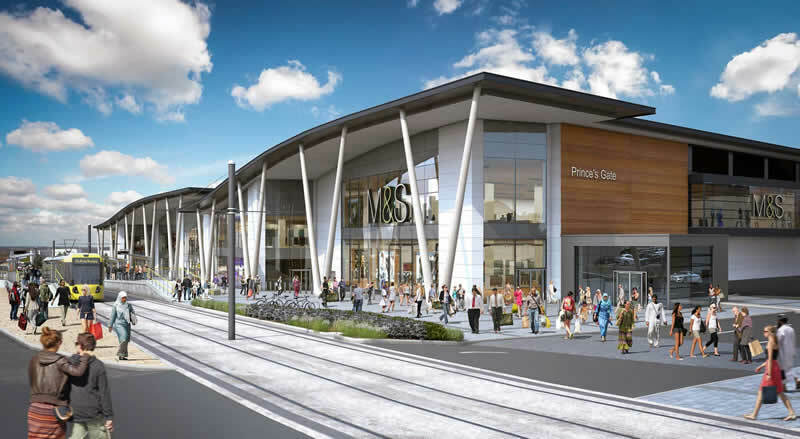 Not only will it deliver a big M&S in a 51,000 sq ft food and clothing store, it will see them acting as anchor tenants to attract more missing retailers into an additional 66,000 sq ft of retail space. That will all be housed in a stunning glazed development with a natural wave form roof and around 200 underground car parking spaces on what is currently the Park and Ride site at Mumps. The first development phase will see a replacement Park and Ride facility delivered over the road before construction work then gets underway to enable the new stores’ to open their doors in 2017. But that retail element is just one part of the work we’ve now set out to transform this area into something offering a much wider range of exciting new benefits. VISION: CGI view from above of the Prince’s Gate at Oldham Mumps site. Regeneration here will establish a quality town centre living offer as well as redeveloping redundant land. Our vision is to deliver 800 quality homes – including apartments – with a significant number provided on the former Mumps station and heavy rail line, plus a total of around 700 car parking spaces around the site. The fine former NatWest bank building will also be refurbished to include apartments, retail and leisure units. And there will be another new retail/residential unit on the RSPCA/Roscoe Mill site hosting a major supermarket tenant – talks are ongoing – with 50 apartments above across three storeys. Our plans for Oldham are focussed on two key things – the place and its people – and it’s more important than ever to invest in both now. Prince’s Gate is without doubt the most important scheme we’ve been working on and will ultimately set us apart from other towns. But this masterplan hasn’t been developed in isolation from other projects – we’ve been talking to M&S since 2011 – and it’s integral to a much wider vision of the town centre’s future. It will totally complement our blossoming new Independent Quarter, for example – and that’s no accident. In that area, between Yorkshire Street, Clegg Street and Union Street [East], you can already see some of the most inspiring green shoots epitomising the spirit of what we’re trying to achieve. Independent and niche traders are putting their life savings on the line, helped by our £1 million investment and support package, to forge a brighter future. We’re investing something back in people here who, in turn, are investing something of themselves in Oldham’s future and that fledgling Independent Quarter will act as a natural, buzzing link from Prince’s Gate up towards the new ODEON cinema and Parliament Square, and the adjacent shopping centre. It’s vital that we get the balance and these linkages right, which is why we’re also working closely with Kennedy Wilson, the new owners of Spindles Town Square, about how to best align our plans so that their venues – the traditional retail core of Oldham – also go from strength to strength. 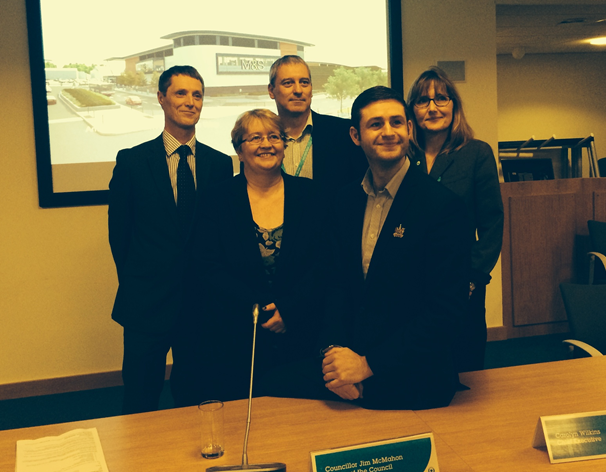 In addition to all that we’re continuing to work hard on improving the town centre experience for everyone. That includes not just our plans for a new public space at Parliament Square, but further enhancements to the public realm and street furniture, the addition of a childrens’ play area, measures to attract street performers, and the fabulous WOW Bed which won Britain in Bloom. Overarching all this we’re also striving hard to ensure we’re creating new jobs and opportunities for our residents and bringing new money into town. An independent economic analysis of the Prince’s Gate masterplan has projected it will create more than 700 new jobs and could generate up to £21 million per year to the local economy. In the days of shrinking local authority budgets we know that taking such an active leadership role is one hell of a challenge, but it is also one we must not shirk. UNVEILED: The big moment this week as we revealed our exciting plans to the media. The Prince’s Gate masterplan will bring new private investment to Oldham – and it will in turn raise the new business rates and Council Tax income needed to deliver the facilities we know the public wants. We could, of course, follow the example of many other councils right now and just navel gaze instead. We could continually whinge about Government funding cuts and see our future role as being to simply empty your bins and deliver statutory services. But I don’t believe that is what you want and I am certainly not the man to sit here and do that. I’m not interested in a continual pathway of further decline for Oldham and simply drifting along as a satellite town to Manchester. What would be the point? This borough deserves better and that’s why we are tackling this huge programme to try and improve people’s lives, facilities and prospects. These are bold plans for Oldham that will need external partners and investors to get on board – many of whom we are already talking to. But equally we will also need advocates like you to act as positive ambassadors for our future and help to spread the word. To ‘do your bit’ I would ask you to please take the time to visit the Prince’s Gate at Oldham Mumps webpage by clicking this link. Here you can watch a video blog from myself (don’t worry, it’s short! 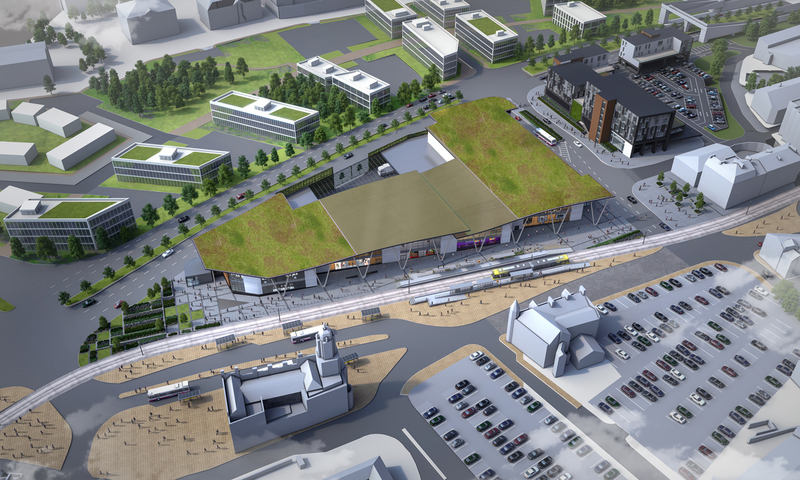 ), and a stunning 3D animation of our plans. You can also read more about the scheme, including a list of Frequently Asked Questions.